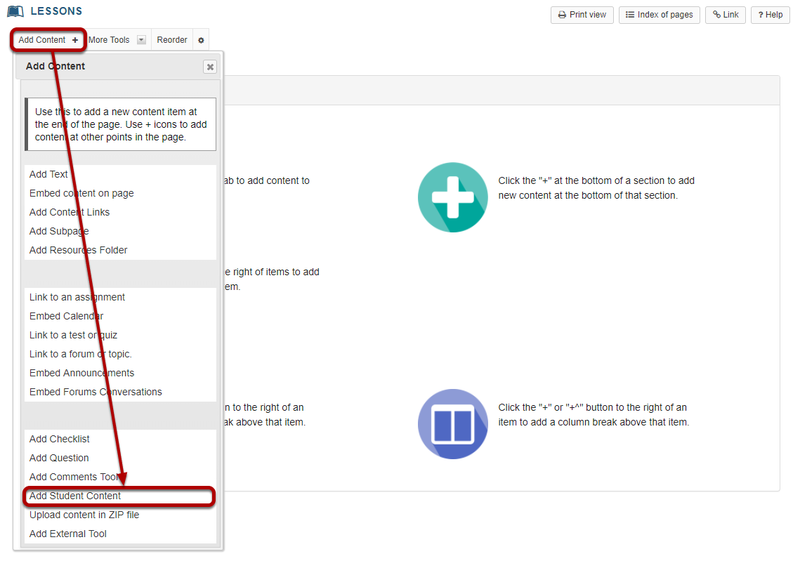 Sakai Community DocumentationSakai 19 User Guide (English) LessonsHow do I allow students to add content to Lessons? Check Make these student pages anonymous if you want the student pages to not reflect the name of the student creating the pages. 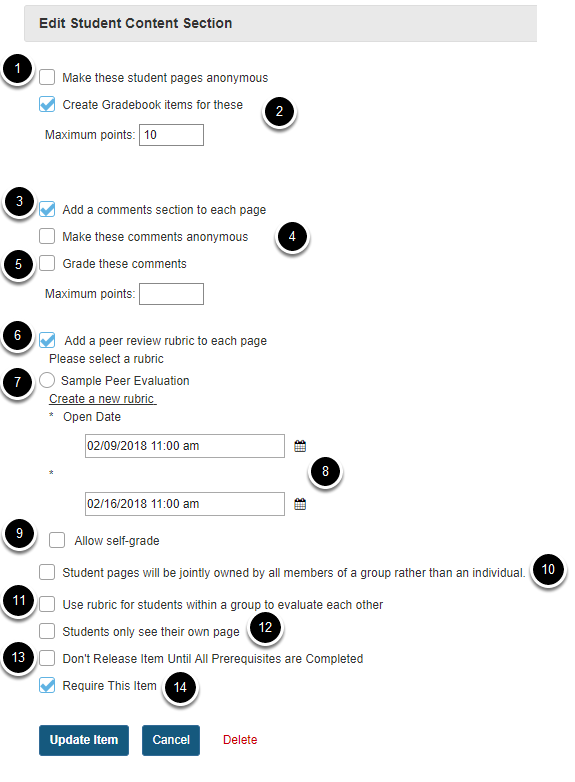 Check Create gradebook item for these if the student content pages are to be graded and enter maximum points. Check Add comments section to each page if you will allow other students to comment on the student pages. Check Student pages will will be jointly owned by all members of a group rather than an individual to allow site groups (rather than individuals) to create Student Pages. Each group member will be allowed to add/edit content on the group's Student Pages. Click Back to return to the Lessons page. 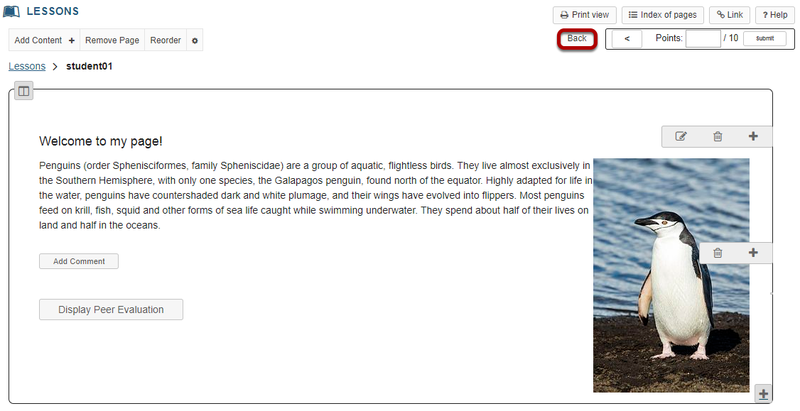 The Back button is located in the top right corner of the student's page.